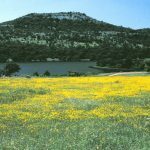 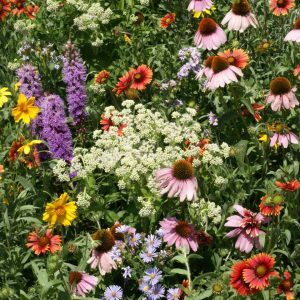 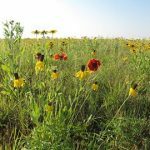 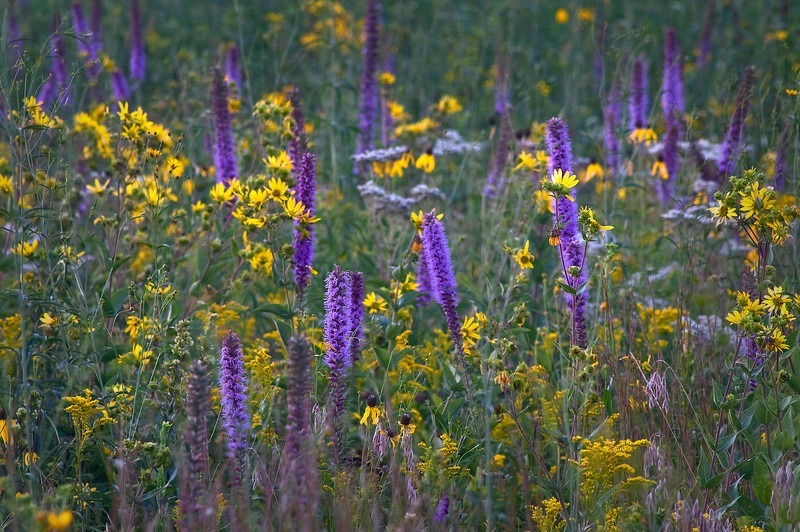 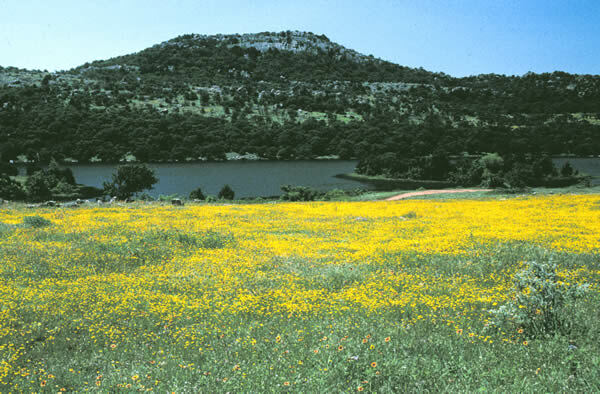 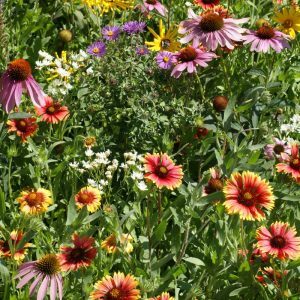 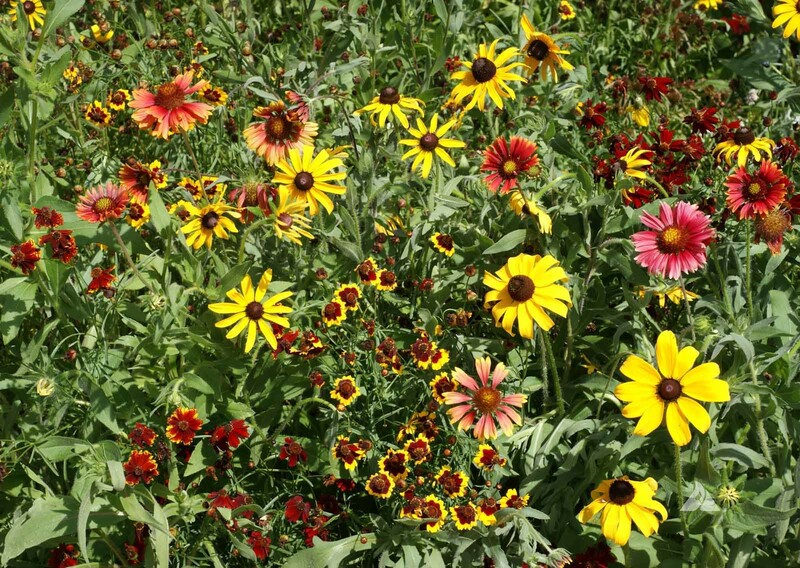 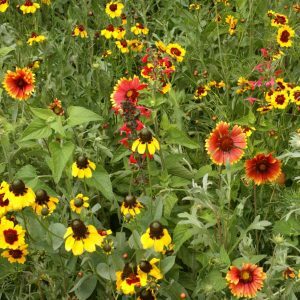 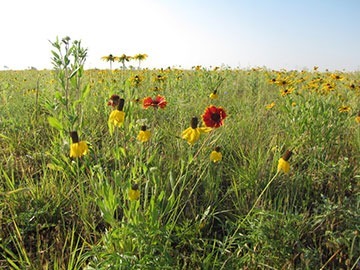 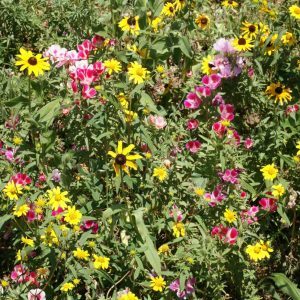 Establish your own shortgrass prairie with these flowers that are under 36 inches. 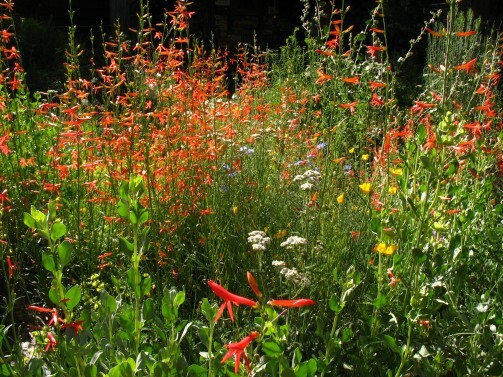 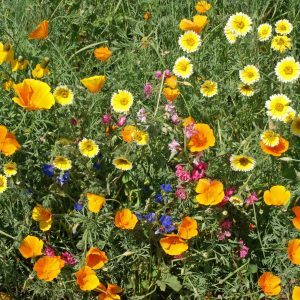 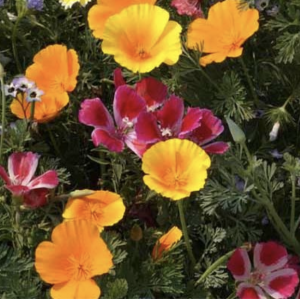 Sow in full sun, and well-drained soil. 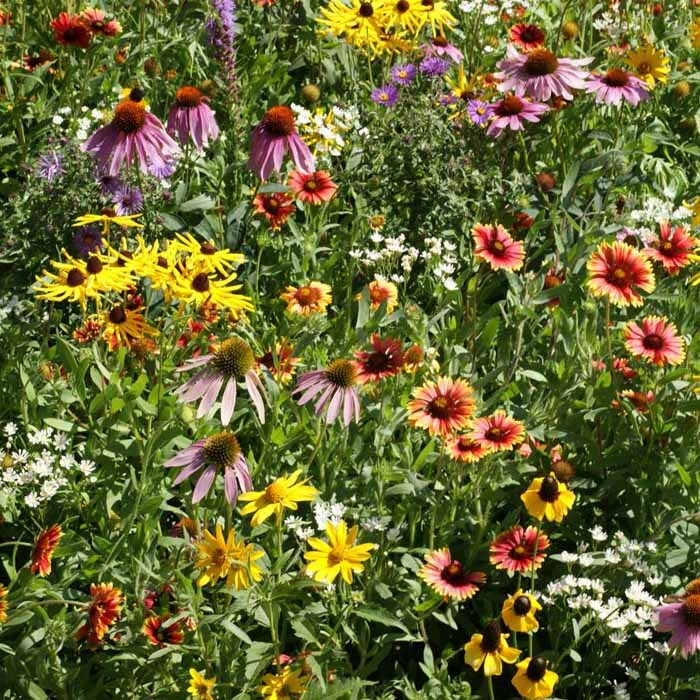 Black-Eyed Susan, Butterfly Milkweed, Dwarf Evening Primrose, Golden Alexander, Hoary Vervain, Indian Blanket, Lavender Hyssop, Lance-Leaved Coreopsis, Narrow-Leaf Purple Coneflower, Nodding Pink Onion, Ohio Spiderwort, Plains Coreopsis, Prairie Coneflower, Purple Prairie Clover, Rough Blazingstar and Shell-Leaf Penstemon. 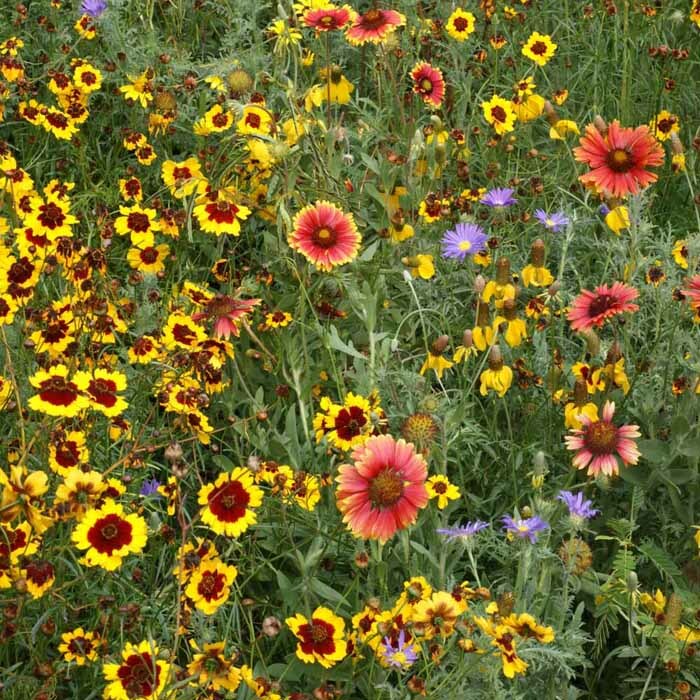 Grows Well In: The Midwest, Northeast, Nebraska, and Texas/Oklahoma.